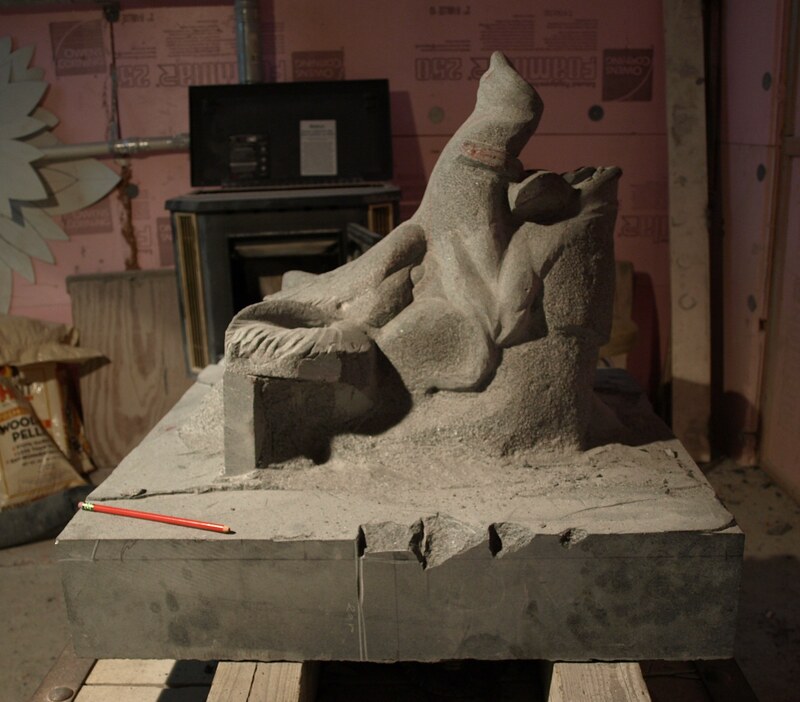 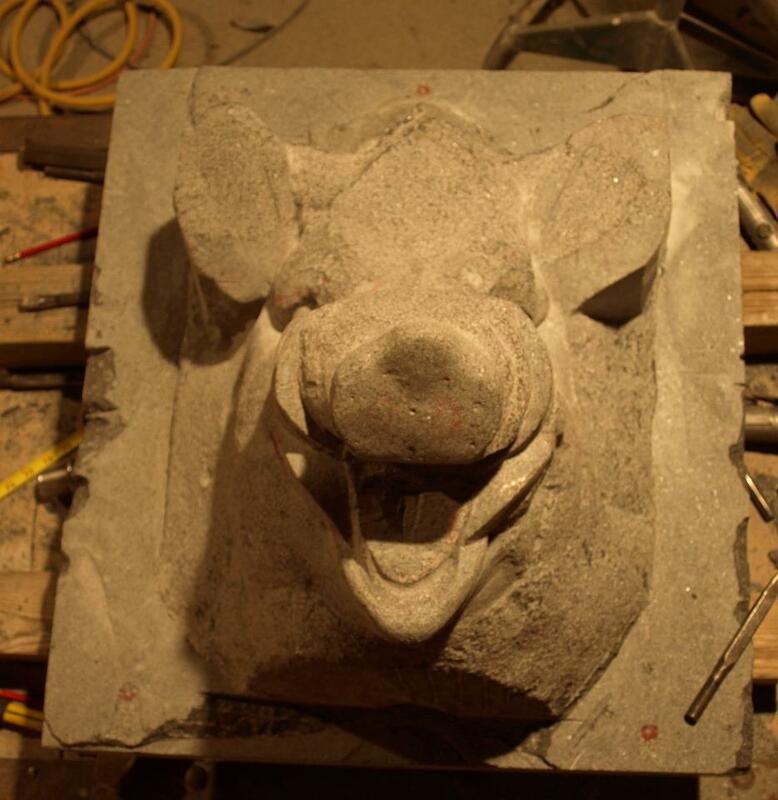 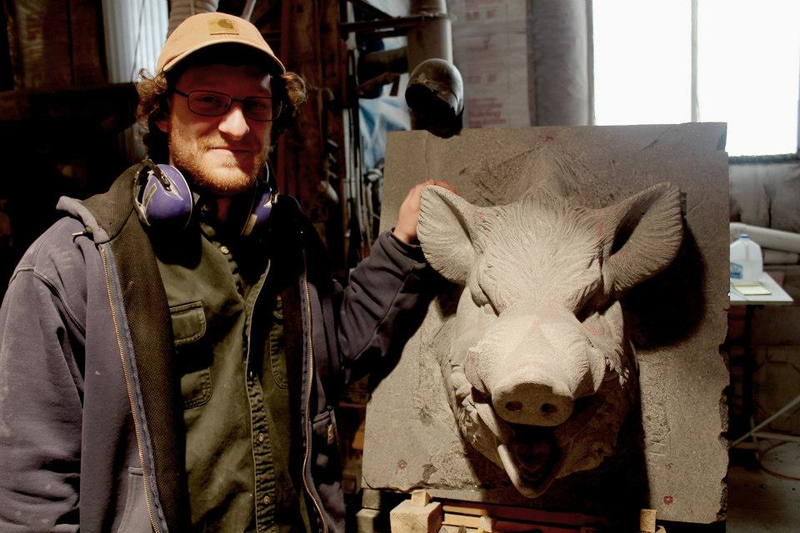 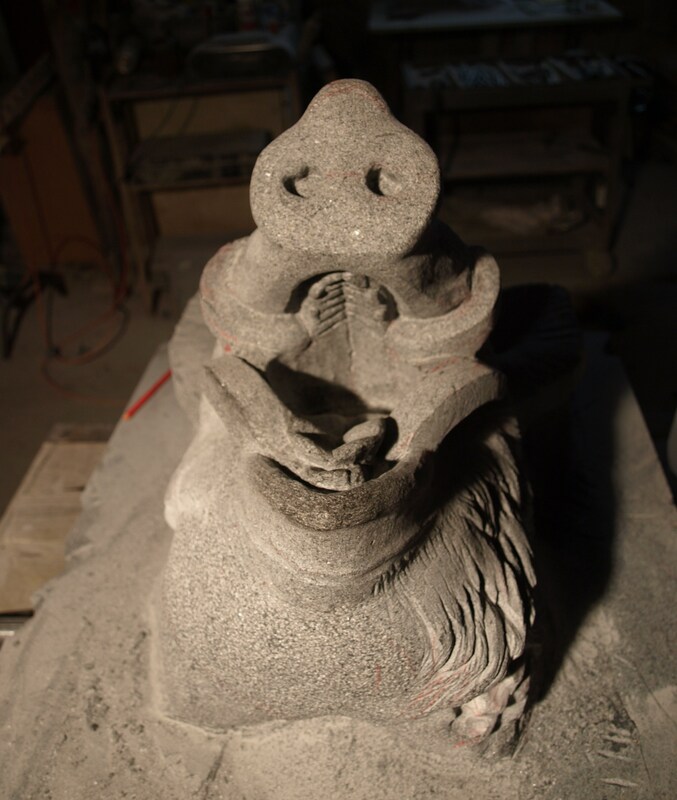 Over the last 4 months, I have been used the boar head model I sculpted in Berlin to carve the final version in stone. 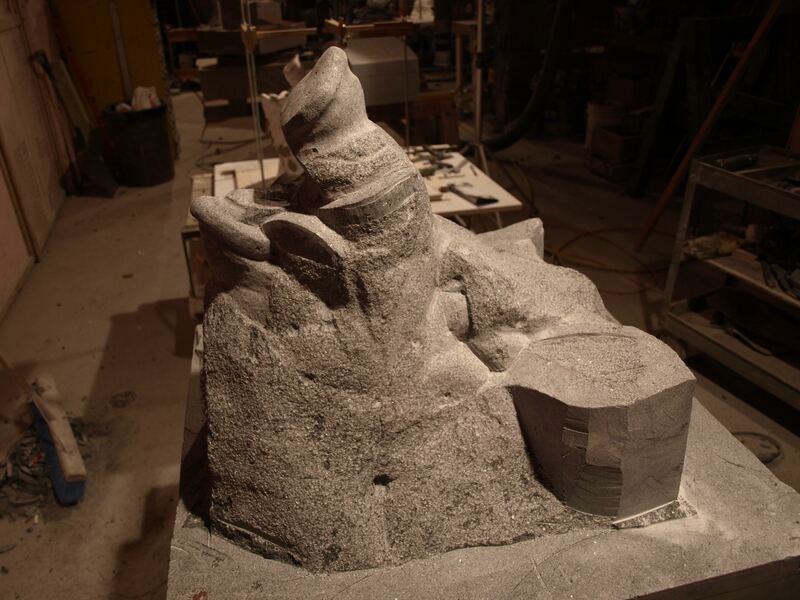 Here are the pictures from that process. 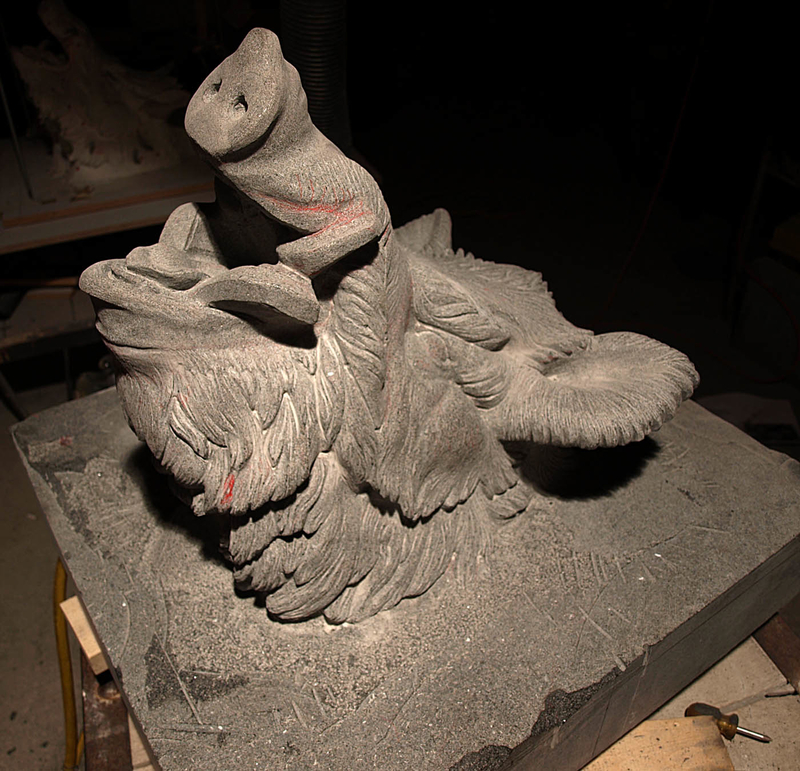 Since the early stages aren’t really that interesting to look at, I will start with what the carving looked like about 6 weeks into the carving. 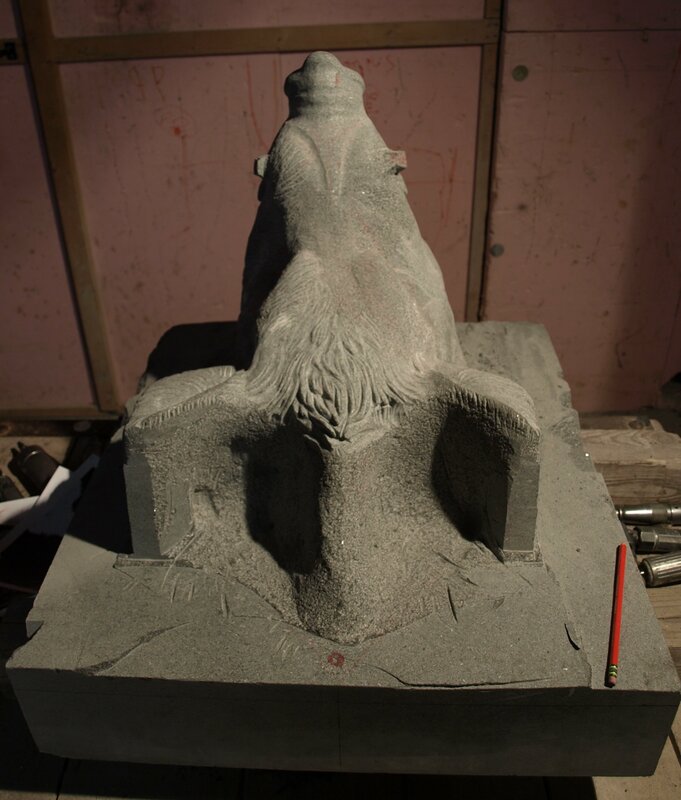 Bear in mind I started from a solid block. 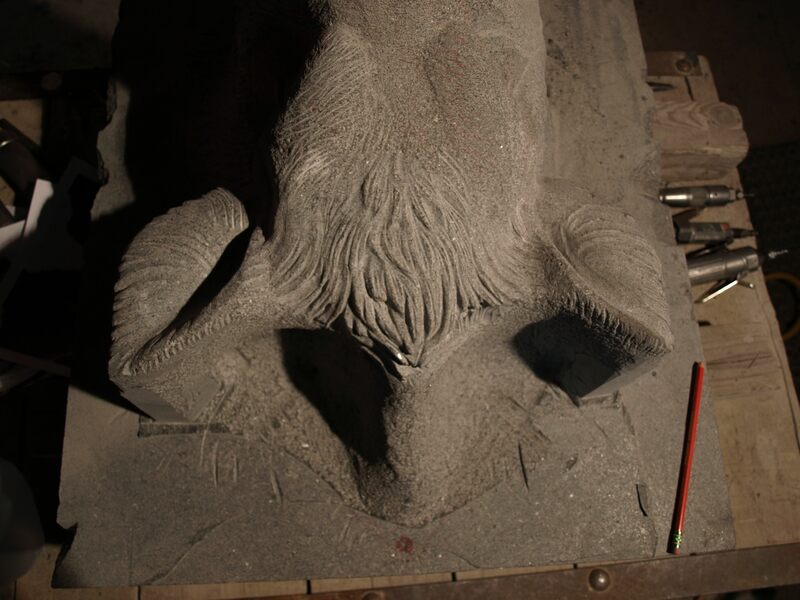 The last photos are after around 3 months of work. 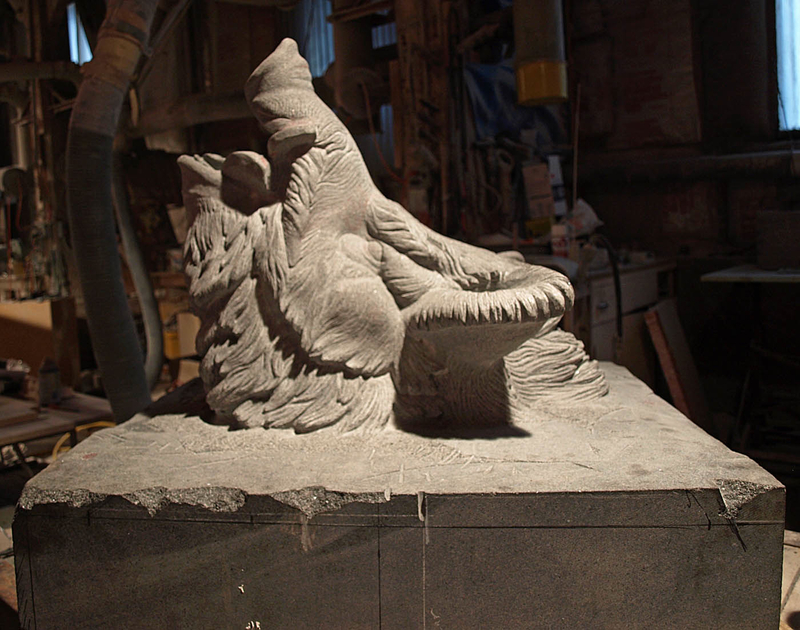 We are still waiting on a final template for the background and in the end the background will be pitched stone and in some kind of an oval shape. 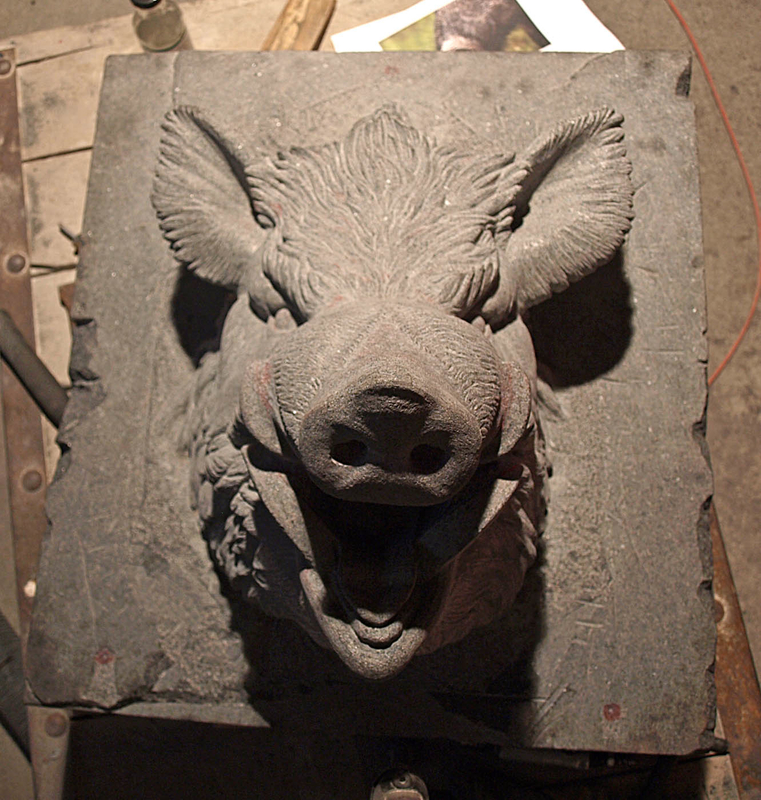 This entry was posted in Art, granite carving, Sculpture, Stone Carving, Vermont and tagged Barre Sculpture Studios, Barre Vermont, Black Granite Carving, Boar head carving, boar head sculpture, boar sculpture, granite, granite carving., granite sculpture, granite wild boar, sculpture, Sean Hunter Williams, Sean Williams, Stone Carving, Vermont carving, vermont granite carving, Vermont stone, Vermont stone carving, Wild Boar, wild boar carving, Wild Boar Sculpture on April 18, 2013 by seanhwilliams.